A medium-sized, extremely free-flowering multiflora petunia with a low, spreading habit that’s perfect for containers and baskets. The flowers change through shades of indigo as they age, and have a scent similar to a hyacinth with notes of rose and honey. As the name implies, the scent is stronger in the evening hours, though it can be experienced throughout the day as well. 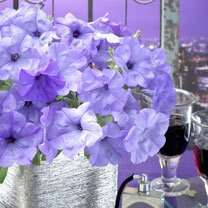 Grow it by a window or door for maximum effect. Improved variety. Height 12-20cm (5-8"). 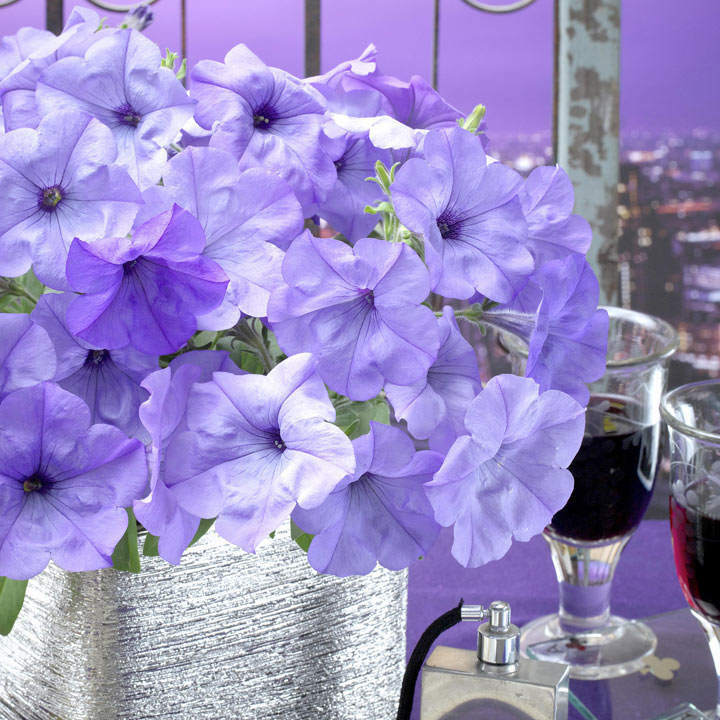 Medium or large flowered, compact or trailing, even single colours to help with your colour schemes, there is something for everyone with Dobies petunias. Sow February-April to flower June-September. Suggested planting space 30cm (12").